Bought a car today at a fantastic price and smoothest trade-in process ever in the history of car buying. Very realistic people . All the cars at this dealership are new.They only have clean titles and most of the car are one owner lease. The place looks very upscale and everyone is very genuine. I was helped by tanner. He's efficient and fast. Never hesitated in answering any question. All fees and money numbers are upfront, there is no hidden stuff going on.Never felt like being pushed into buying a car , me and wife did couple of drive tests and bought the car of our choice. I highly recommend this dealership. Thank you Tanner and kentson auto!!!! No pressure, easy to talk to, no haggling over price. Very easy experience. Easy test drive process. Great buying experience. Our salesman, Jake was awesome! We had a great experience with Kentson Auto and will definitely be back! Jake was very professional and took care of all my needs. Good deal and will refer family and friends. I have not bought a car from Kentson yet, but I have done a lot of business with them. Everyone at Kentson is great to work with including the owner. I transport some of there cars and I am always delivering them to happy customers. These guys are honest fair and a joy to be around. They get priority service from me because of how they treat their vendors and customers with great respect. I work with different dealerships every day, and these guys are the most impressive. High five Kentson!! 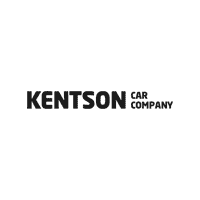 Kentson Car Company was great to work with. No pressure, friendly, lots of options on the lot. I would highly recommend anyone to go to Kentson to purchase a vehicle. Thanks Paden! Jake was super patient and helpful. This has probably been the fastest/easiest car shopping experience I’ve encountered. It was awesome dealing with these guys especially being in a different state and working things out over the phone and by email! The overall experience was very pleasant Brian’s knowledge of the vehicles I was interested in was very helpful as was his patience. Brian had all of the answers that I needed, no back-and-forth with a bunch of BS to some invisible manager that you find it most car dealers. We stopped in just to see options. Chad was very helpful, but since there wasn’t the car we were interested in on the lot to test drive, we left and went to another dealer. Sixty minutes later we were back putting a deposit on a Kentson car from one of their other locations. They definitely offered a better price on the model we wanted. They have very nice cars not junk cars. Very helpful salesmen. We had a great experience! Definitely recommend to friends and family! We drove from southern Utah and do not regret driving that far great place! Great service! Brian was awesome to work with. No pressure just facts. We will absolutely be recommending Kenston to our family, friends and clients. Great work!